PwC will be on presenting to the Accounting Association next Wednesday, January 14th. 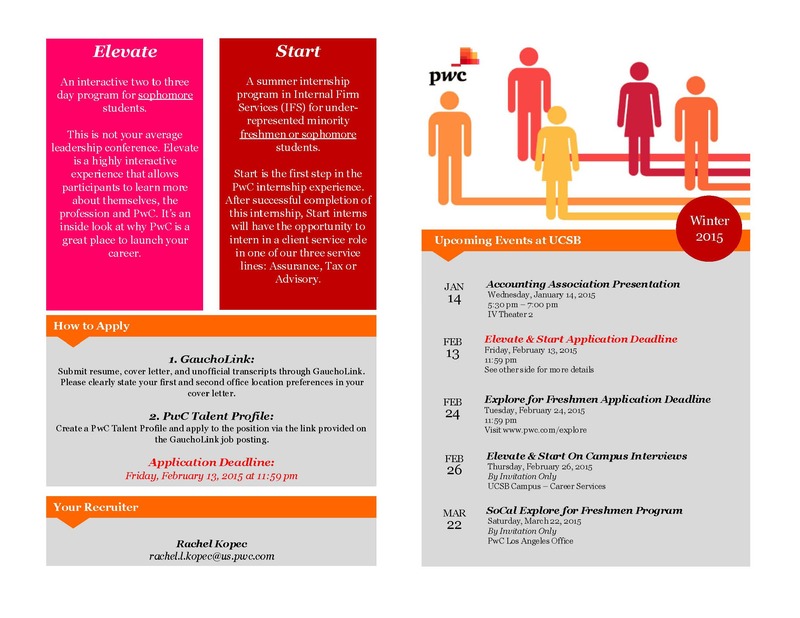 Recruiter, Rachel Kopec will be promoting a variety of unique programs that PwC has to offer Freshmen and Sophomores. Download the New PwC – UCSB Recruiting App!